Survival for Ki Lim and Sang Ly is a daily battle at Stung Meanchey, the largest municipal waste dump in all of Cambodia. They make their living scavenging recyclables from the trash. Life would be hard enough without the worry for their chronically ill child, Nisay, and the added expense of medicines that are not really working. Just when things seem most bleak, Sang Ly learns a secret about the hated, ill-tempered woman, the "the rent collector"-she can read Reluctantly she agrees to teach Sang Ly and does so with the same harshness she applied to her collection duties until they both learn how literacy has the power to instill hope and transcend circumstance.Based on a true story, set in the abject poverty of Cambodia against the backdrop of political oppression and the atrocities of the Khmer Rouge. 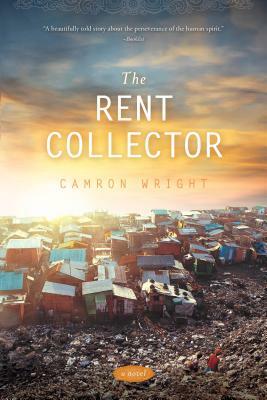 Camron Wright is the author of the international bestseller Letters for Emily. It was a Reader's Choice award winner, as well as a selection of the Doubleday Book Club and the Literary Guild. He holds a master's degree in writing and public relations. Camron lives with his wife, Alicyn, in Utah. They are the parents of four children.